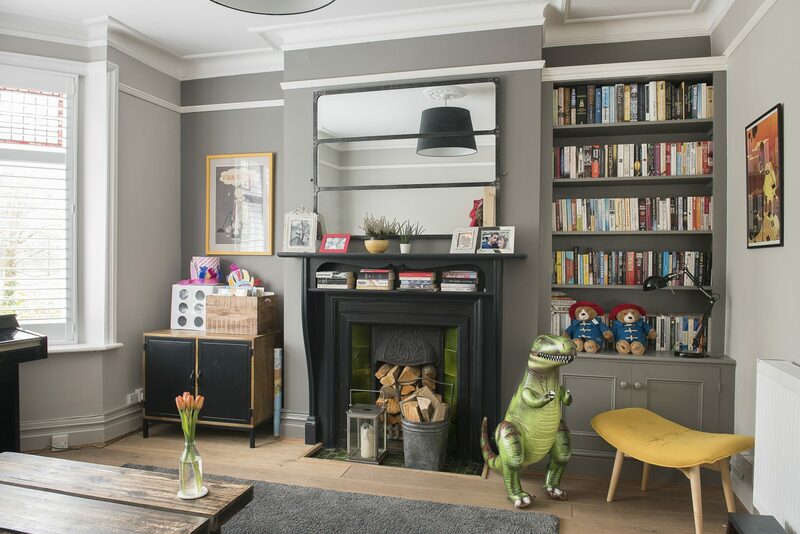 Through the invaluable help of a property finder, media guru Caroline Kyriazis tracked down a spacious Victorian terrace in Tunbridge Wells with all the period qualities she and her husband had been searching for. 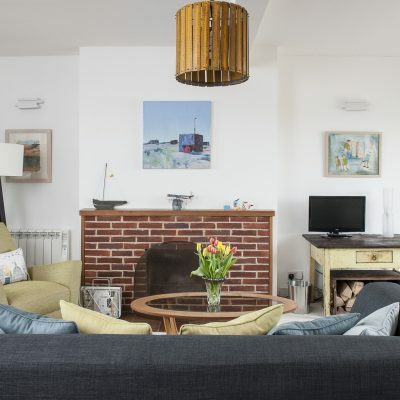 With a love of DIY and decoration they have created their dream home. 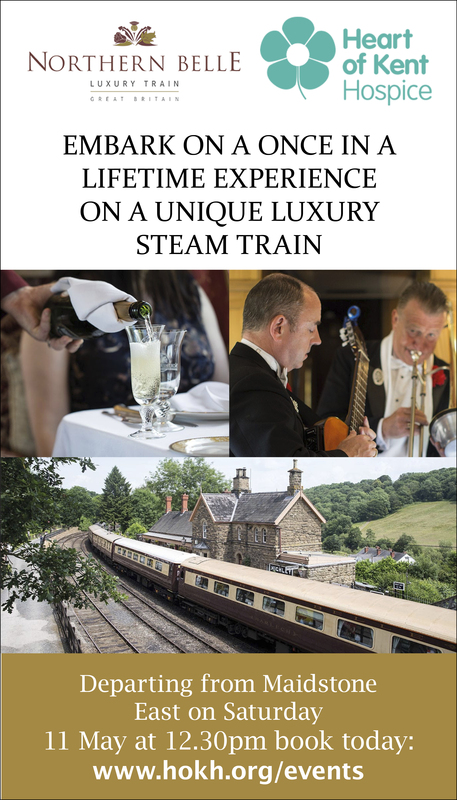 So, what exactly have the Victorians done for us? 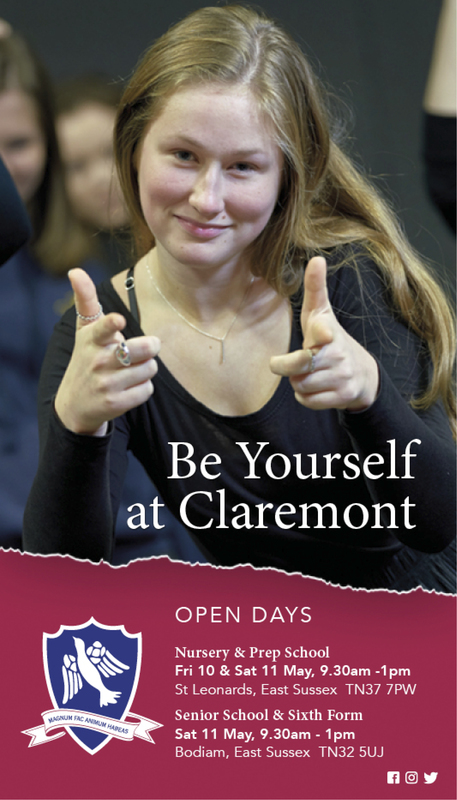 For those of you who remember the television series of a similar name, you may well know. 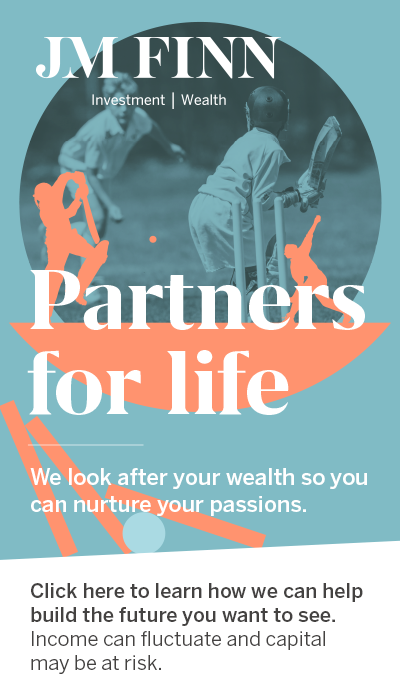 Or, if not, its presenter Adam Hart-Davis sums it up neatly: “In 1875, the Bulldog Club defined the perfect British Bulldog in a booklet that was circulated to breeders everywhere. From dogs to engineering, from sports to space and time, the world was becoming obsessed by standards and the rules that defined them. This was the world of the Victorians.” Another thing that gives us a clue about the lives of the Victorians are their houses. And it wasn’t just the era that was the same: “This house is really similar in size and layout to our London home,” says Caroline. 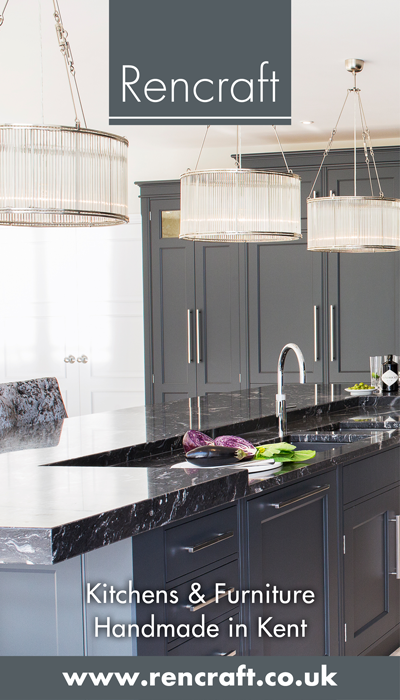 It’s easy to see why they wanted something similar: high ceilings, huge rooms, great layout and just the right amount of period detail to give it character, but without feeling stuffy. Unfortunately for them, the appeal of such houses had not gone unnoticed by other house-hunters. “As soon as a suitable house came on the market, which was not very often, it would get snapped up,” says Caroline. Inside the home, it is clear that Caroline has more than settled in. 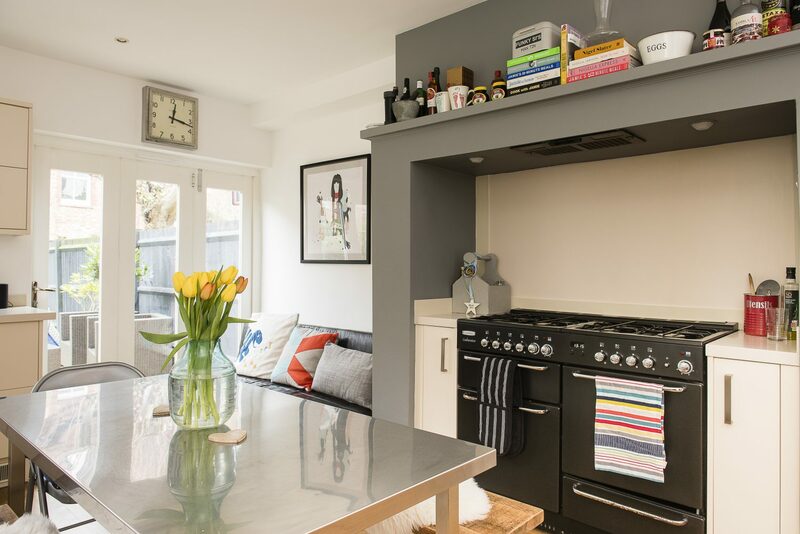 A comfortable and seemingly effortless style throughout makes it a very homely place to be: “It mainly needed cosmetic work – we haven’t knocked down any walls. 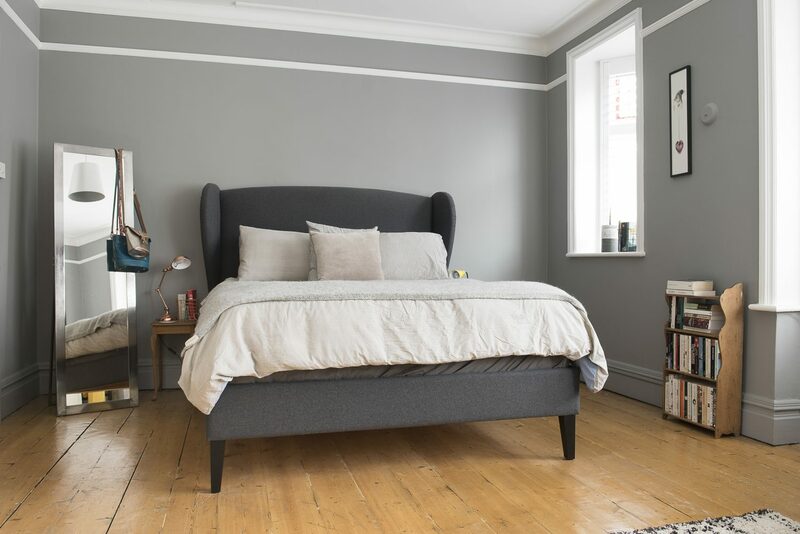 I’ve always had a love of decoration and DIY, and I love transforming spaces just with paint.” Various greys and dark blues link the rooms, though few colours are identical. The only colour that runs through the house is Railings – a ‘soft black with blue undertones’ with which Caroline has painted every fireplace as well as the bannisters and balustrade of the stairwell. 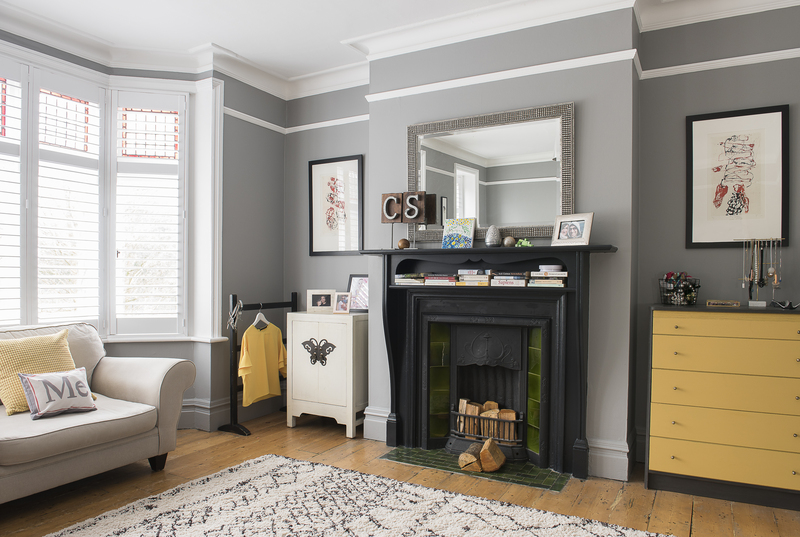 “I love the colours that Farrow & Ball do but I often use Valspar’s colour match service too,” Caroline admits. Caroline tells me this as we sit in the kitchen. 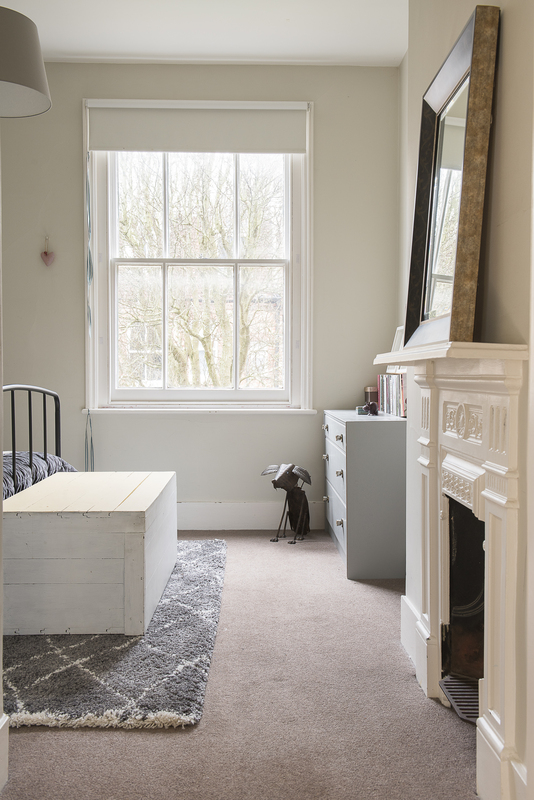 There is a huge sash window, as well as bi-fold doors on to a little courtyard garden – both of which help to fill the room with natural light. The kitchen units are minimalist and pale cream. 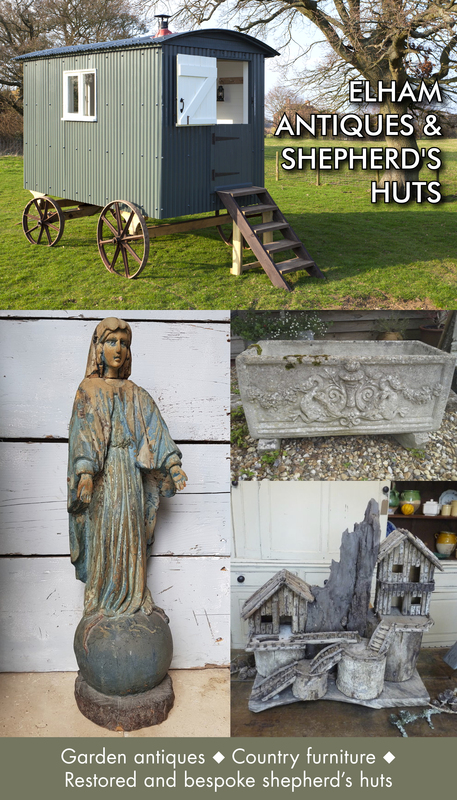 “The units were already here – we were lucky with that one!” says Caroline. 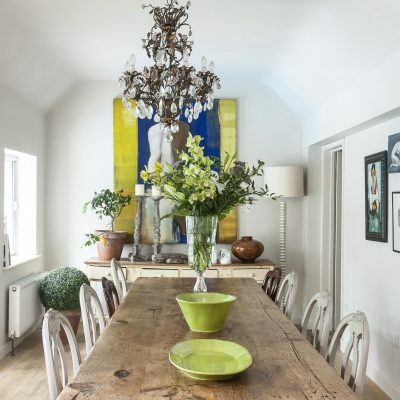 In the middle of the room is a stark metal table that Caroline bought on eBay, flanked by benches topped with sheepskins. “The sheepskins just warm it up a bit. We love a bit of industrial style, rather than going too ‘country-rustic’. 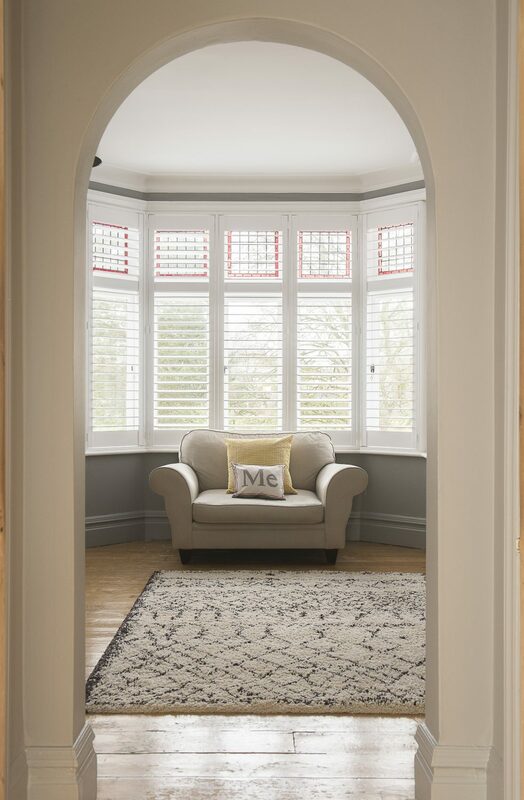 But to warm it up we use lots of cushions, soft furnishings, throws and things like that.” The look works, as do the engineered oak boards that run throughout the downstairs. They were already here too. Next to the kitchen is a cosy room that, unsurprisingly, is known as ‘the snug’. “This is where we spend our evenings, by the open fire,” says Caroline. “This room was a very, very light grey and I wanted to make it a really cosy, warm space. It doesn’t get a lot of natural light, so I have gone with the darkness – then added little pops of colour. 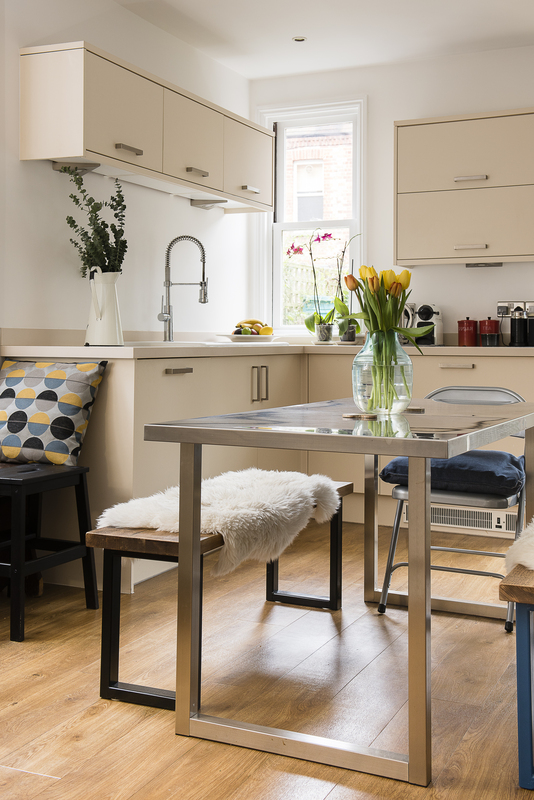 Mustard is one of my favourite colours at the moment.” Caroline is perfectly on-trend. She has gone for the same ‘warming’ style as in the kitchen, with different fabric textures including wool and faux fur. Next door again is the playroom at the front of the house. “We had thought about joining this to the snug, but have decided not to,” says Caroline. Like others, many of whom have learnt too late about the downside of ‘open plan’, Caroline and Simon can see the advantage of having two separate rooms. A fashionably worn leather sofa and a piano take pride of place in this room. 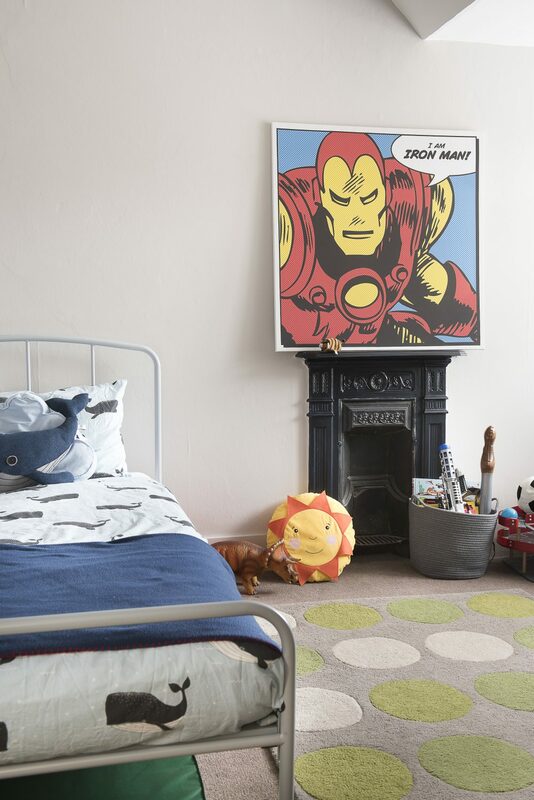 “We get lots of morning sunshine in here, which is lovely, and there’s lots of storage to hide toys.” Storage; another great feature of older homes, that modern houses so often lack. 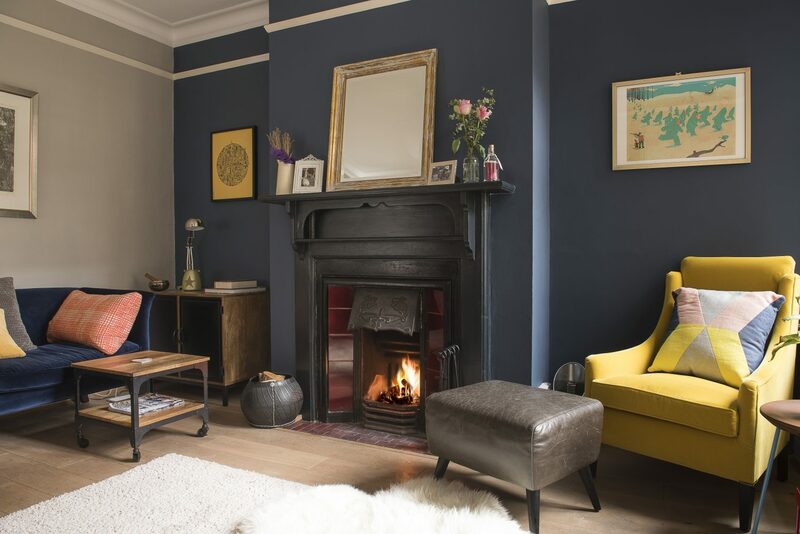 In case we’re in any doubt that this is a period property, a magnificent cast iron fireplace with dark green tiles is the focal point of the room. Every room in the house has a fireplace, of varying size, with jewel-like tiles surrounding it in either dark green, blue or red. 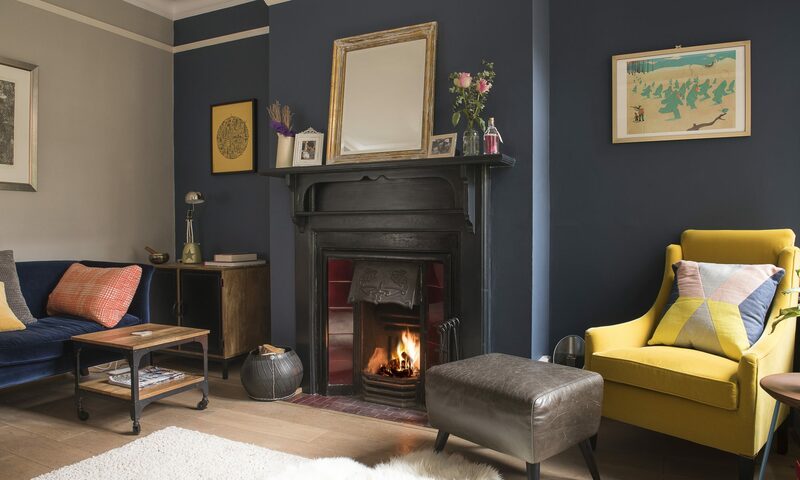 “We did look into putting a wood-burner in the snug, but it would have meant ripping out the fireplace and I love the fireplaces,” says Caroline. It’s easy to see why. Leaving behind the oak boards of the downstairs, we proceed upstairs, on thick pile carpet. The stairwell and landings are open and light, giving a feeling of spaciousness that is soon realised, even on the top floor. 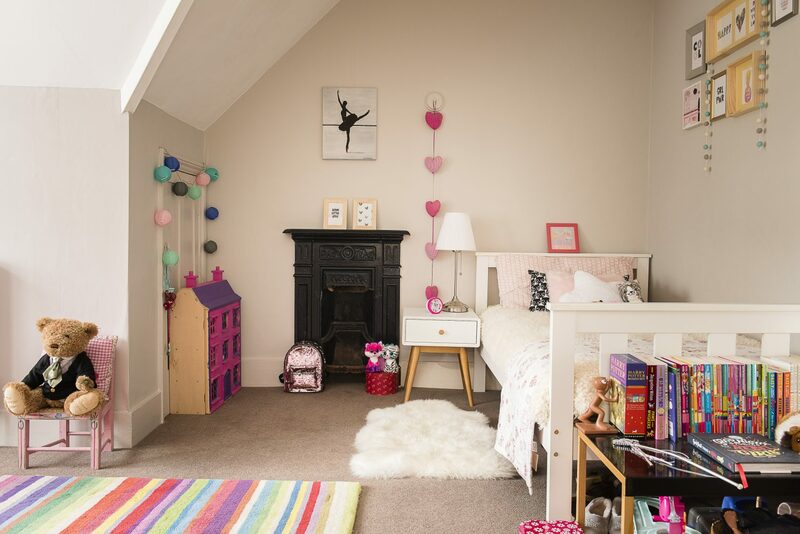 This is no poky attic area but home to the children’s bedrooms, a laundry room as well as Caroline’s ‘home office’. Looking in on Caroline’s workspace emphasises the benefits of home working. 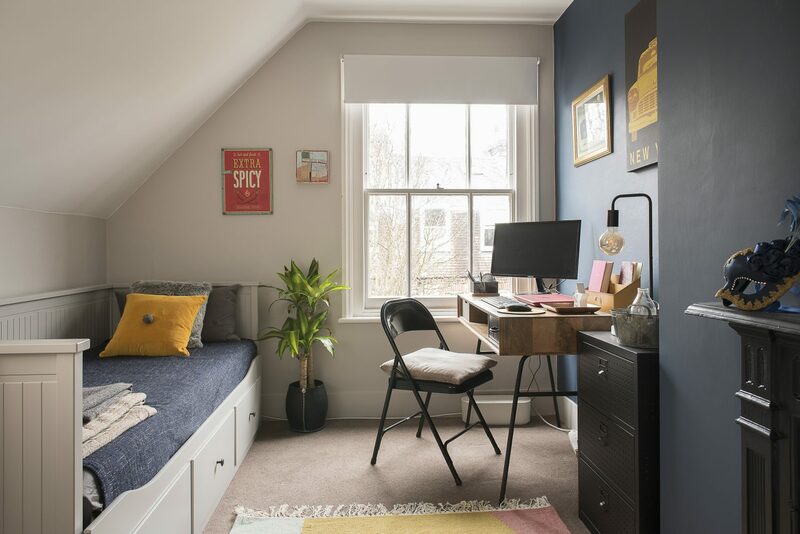 Her neat, mid-century-style desk – from Maisons du Monde – is next to a large window, with a view out over the back gardens of this quiet corner of Tunbridge Wells. 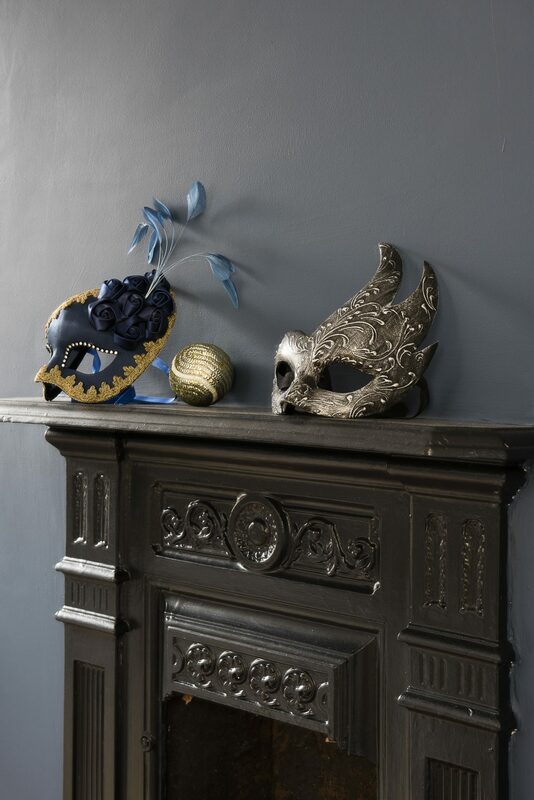 There is another gorgeous fireplace, this time with Venetian masquerade masks on the mantlepiece. “They were a present from Simon,” says Caroline. 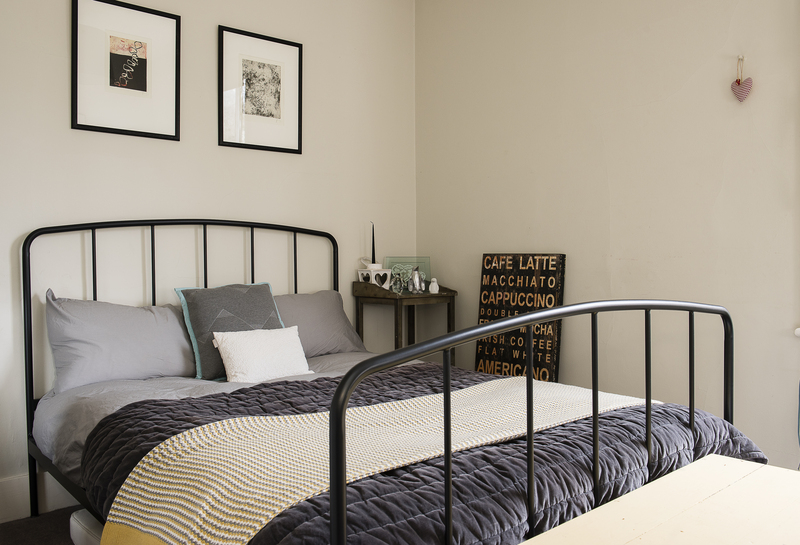 The room has been replastered and painted in a moody dark blue from paint-makers Craig & Rose. Below Tilly’s bedroom is the master bedroom, or master suite as it is in fact. “This was another selling point when we viewed the house,” says Caroline. 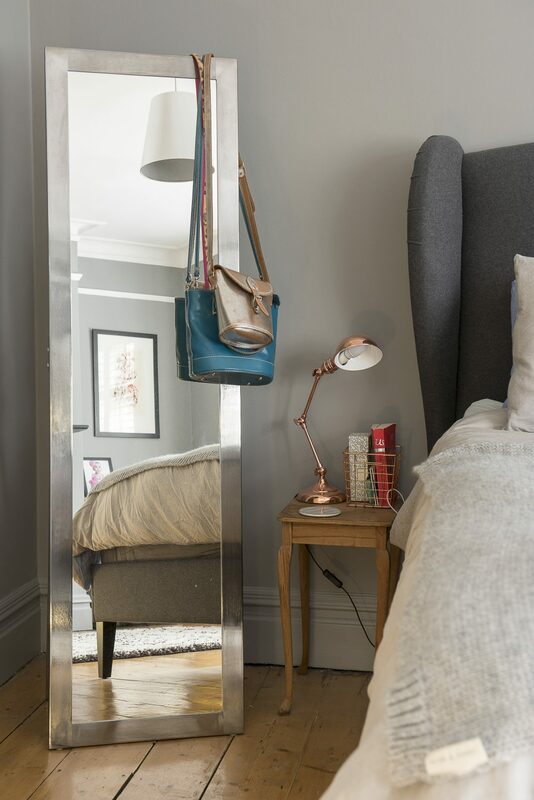 “We walked in here and I saw the potential with the en suite and thought ‘this is literally like a hotel room’ – and it’s got the view as well.” A king-sized bed by Sofa.com takes pride of place next to a pretty lantern window. Close by is a bay window and oversized armchair or ‘love seat’. “We’ve had the armchair for more than 10 years, along with the leather sofa downstairs. They were in the first flat we had together,” says Caroline. 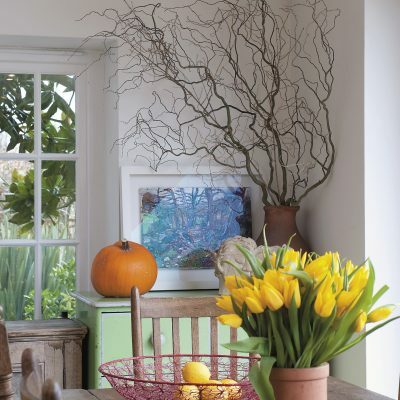 Original pine boards also give this room a lived-in feel. A passage leads through to a large en suite bathroom. “I’ve got great plans for this bathroom!” says Caroline. 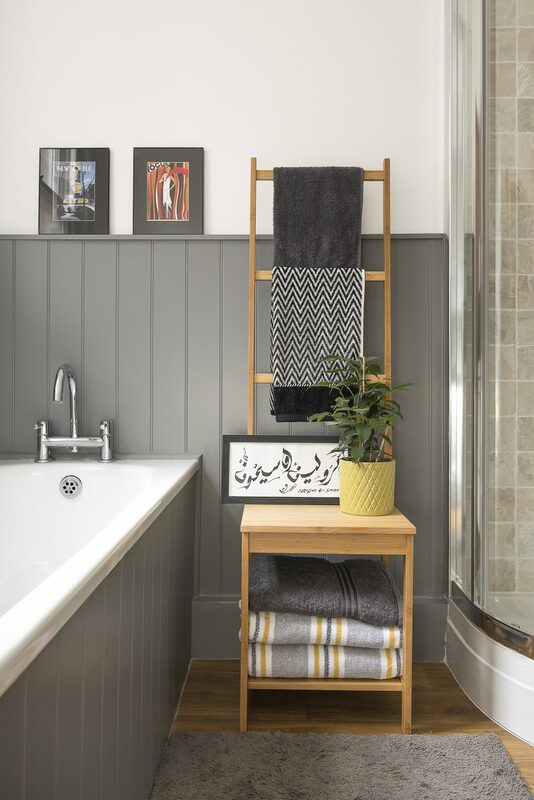 “It’s just crying out for a free-standing bath… and I love the original floorboards.” It’s clearly got huge potential what with its high ceiling, his-and-hers basins and ornate fireplace. The window, like others in the house, is trimmed with scarlet stained glass. Like the rest of the house, the bathroom is a beautiful blank canvas. This late-Victorian house is enjoying a new era, and is clearly up to standard.